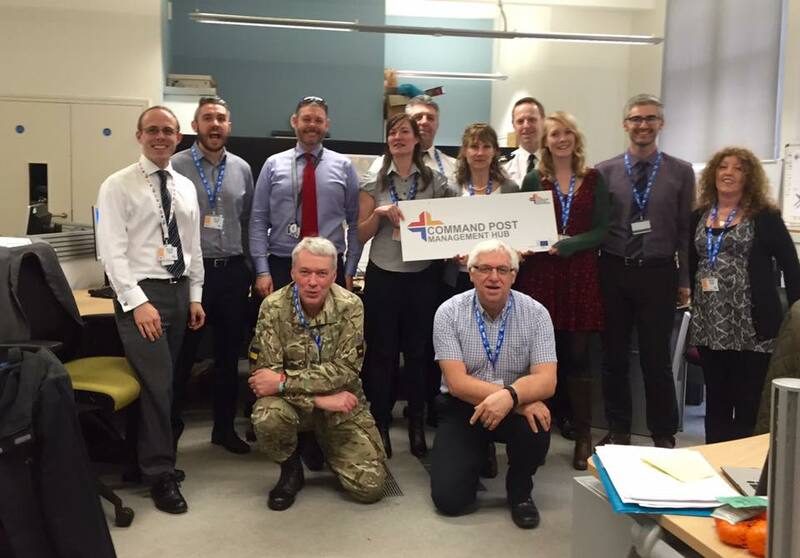 Last week saw the culmination of over a year of planning for Europe’s ‘largest ever emergency exercise‘. 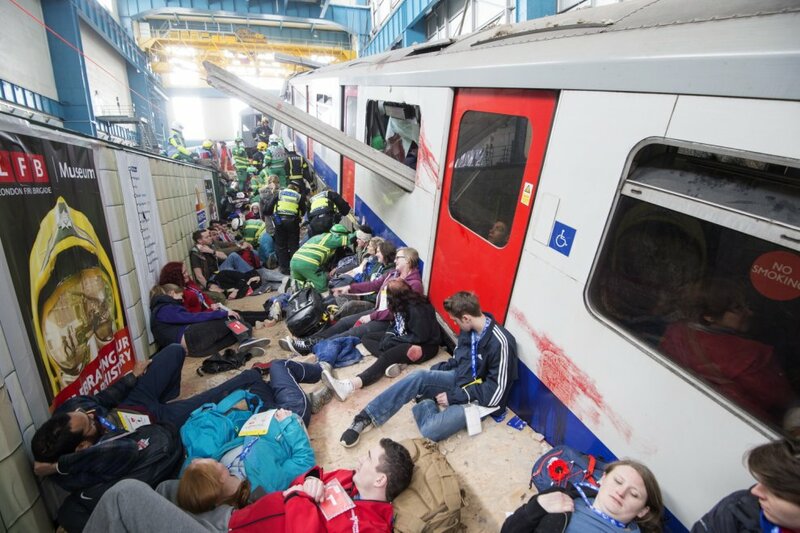 Coordinated by London Fire Brigade, the exercise simulated the collapse of a building in central London punching into an underlying tube tunnel as an underground train was passing. Check out the @LDN_prepared Storify below for a collection of tweets from participants as the exercise progressed. considering the information and long term support provided the public, businesses and to individuals and communities affected. Did I follow my own advice? During the four days of the exercise many lessons were learned dynamically. Undoubtedly there will be lots more learning to come out through the debrief processes. It’s not the intention of this post to debrief the exercise, but to revisit the points from my earlier blog. Did I follow my own advice? In hindsight, have I got any additional thoughts on getting the best return on investment from exercises? Developing SMART style objectives rather than “to exercise our major incident response” became my own personal crusade for a while at the start of the planning process. In the long-run this made developing the scenario easier and we were able to tie all injects (nearly 2000) to objectives, which will support ongoing evaluation. It’s easy when planning something on this scale to let creativity get the better of you. However it’s a fine balance and it wasn’t always possible to simulate reality without a consequential effect on the ability to meet exercise objectives. For instance, one objective related to the activation and integration of international specialist rescue teams, but the scenario also included a ruptured water main and sewer which provided grounds for participation for a wide range of organisations. In reality, the presence of these hazards would have impacted on the ability to implement the technical rescue (as responder safety has to be a consideration) however in the exercise, water and sewage were notional. Where there were simultaneously elements of live and notional play, there were challenges in how well they meshed together. Further to this, many organisations chose to use real-world conditions alongside exercise scenario. In addition to the incident at Waterloo, real-life traffic accidents and train delays all added to the complexity and realism. This is the first time that I’ve seen, first-hand, this attempted in an exercise. The closest I’ve seen are Emergo exercises which use real hospital bed states and staffing to determine capacity challenges for mass casualty management. Limited to one organisation it’s difficult enough to cross-check the impact of the scenario on the real world, but with so many participants this became very complex. This wasn’t always possible due to operational conditions or extent of participation, but by and large venues used were those which would be used in reality. This means that anything learned relating to the operation of those facilities is valuable and can be actioned. Not all of the learning is technical in nature. Softer, skills-based aspects (for instance, teleconference etiquette) is something which can develop with repeated practice. Familiarity with processes, technology and each other in non-incident conditions will improve crisis response. In order to make sure that decisions taken at a strategic level were appropriate it was necessary to warn senior representatives of the exercise dates. However, I strongly resisted demands to schedule meetings in advance. Establishing the ‘battle rhythm‘ is a key incident management skill. If we’d pre-planned meetings the learning opportunity would be reduced. I also made sure, by having a relatively small but empowered planning group, that the integrity of the exercise was preserved. Nobody involved in exercise play, not even my own management, knew the full extent of the scenario. This meant unanticipated questions seeking assurance that the exercise would be sufficiently challenging. Such assurance was provided by exploring parallels to past incidents and exercises with subject matter experts to develop the most comprehensive exercise I have been involved in. (We went as far as developing complete documentation for a fictitious construction company and producing staff records for fictional injured responders). As mentioned already, some representatives were essential and therefore did have prior notice. However, even when they knew the date of the exercise, they did not know anything about timings or scenario progression. There were short-notice requests and demands to be in multiple places at the same time, as there would be in reality. Arguably these issues could have been avoided through advance notice, but then we would have been generating a false environment and actual learning about how to resolve those problems would not have been identified. The ability to prioritise and dynamically allocate resources is another crisis management skill, one which many of the participants in the exercise had the opportunity to practise. I think my own personal learning relates more to the role of exercise control during an exercise of this scale.Having a good team with all the necessary expert knowledge and most importantly a problem-solving approach is absolutely essential. If there was one aspect that I would look to improve next time, it would be to ensure communication between players and facilitators. So my seventh rule for exercise planning, would be to consider structures for exercise control earlier in the planning phase. Synchronising an exercise with 30 different locations, 85 organisations and over 4000 participants was always going to be a challenge. Over the course of the exercise I spent more than 106 hours in Exercise Control, managing command post activity, resolving issues, creating simulated material and ensuring ‘my activity’ kept in step with all other exercise activity. The responsiveness of my Exercise Control team to roll with decisions made in exercise play was crucial, but this could have been made easier with a more complete picture of the response. There were some challenges along the way, but I thoroughly enjoyed Exercise Unified Response. Whilst I hope we never have to do it for real, the learning that will be taken from it will improve emergency responses in London and further afield. As my own reflections solidify I’m sure there will be more posts on Unified Response, but if you do have questions please get in touch.